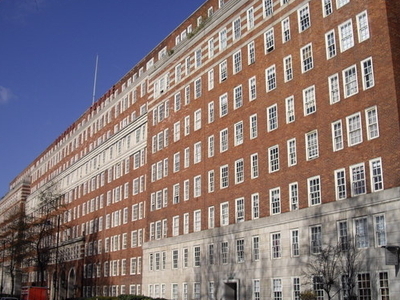 Dolphin Square is a block of private apartments and business complex built near The River Thames at Pimlico in London, between 1935 and 1937. At one time, the huge development was home to more than 70 MPs, and at least 10 Lords. At the time of its construction the development was billed, according to Sir Nikolaus Pevsner as the "largest self-contained block of flats in Europe" and, to an extent, their design has been a model for later municipal developments. Here's the our members favorite photos of "Plazas and Squares near City of Westminster". Upload your photo of Dolphin Square! Emiliya Petrova is the only Touristlink member to visit Dolphin Square. Have you been here? Click here to save it.